Mutt is a text based mail client. It replaces GUI based programs like Thunderbird on a headless Raspberry Pi for instance. Some people even prefer it over the common GUI based mail programs because of its simplicity and the lack of distracting graphical eye candy. It may take a little getting used to in order to be able work with. 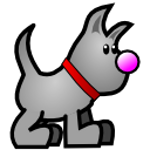 But once you get the hang of it you can just as easily read, write and reply mails using Mutt as you can do with any other mail program. This guide will show you how to set up Mutt for use with a Gmail account. It won't teach you how to use Mutt though. Others are probably far better in explaining how it works than me. Please note that the main .mutt directory starts with a dot, which makes it a hidden directory. Then create a file named .muttrc (dot muttrc, a hidden file) in your home directory and copy/paste the next block of text into this file. # Change the following line to a different editor you prefer. macro index,pager gi "<change-folder>=INBOX<enter>" "Go to inbox"
macro index,pager ga "<change-folder>=[Gmail]/All Mail<enter>" "Go to all mail"
macro index,pager gs "<change-folder>=[Gmail]/Starred<enter>" "Go to starred messages"
macro index,pager gd "<change-folder>=[Gmail]/Drafts<enter>" "Go to drafts"
Naturally you will have to change the first 6 lines starting with set to reflect your own Gmail account. In fact you will have to change all capitalized words with your own information. Mutt will use the IMAP protocol, which means that all mail sent and received will be left on the Gmail server, unless you specifically choose to delete it. This means that you can still read your conversations on other computers afterwards. That's all you need to do to make it work. However let's improve our safety a bit, just in case your Raspberry Pi is used by multiple users. Gmail is by design a lot safer than the average mail account you get from your local ISP because all network traffic to and from the Gmail server is encrypted. Probably 9 out of 10 ISP mail services still use unencrypted connections, even today. But with Gmail we don't have to worry about that. However this won't prevent the root user from looking at your files. There's nothing we can do about that. But we've got another ace up our sleeves. If you set up your Gmail account to have two step authentication you can generate an application specific password for Mutt, which you can feed to the .mutt config file. Even if root steals your password he/she still can't access your Google account, so he/she can't get to your Drive, Calender and profile settings for instance.